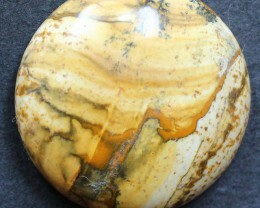 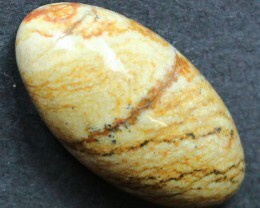 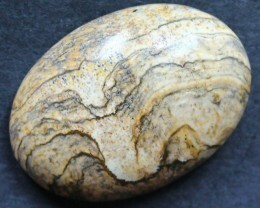 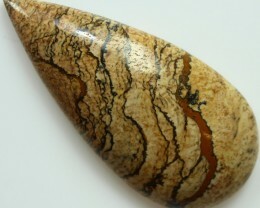 Owyhee Picture Jasper (pronounced Oh-WAH-hee), comes from the Owyhee mountain area situated on the Idaho-Oregon border. 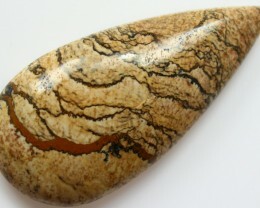 Owyhee Jasper is another one of the very popular picture jaspers, known for their depictions of mountain or desert scenery! 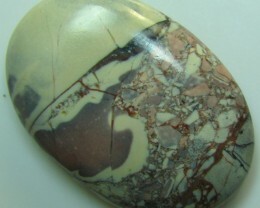 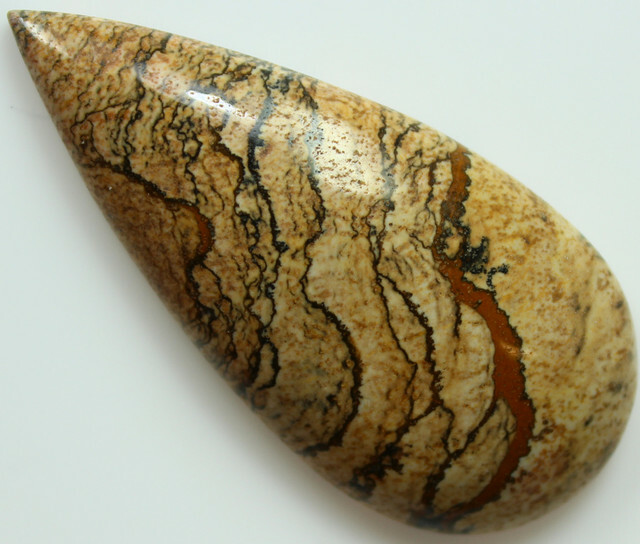 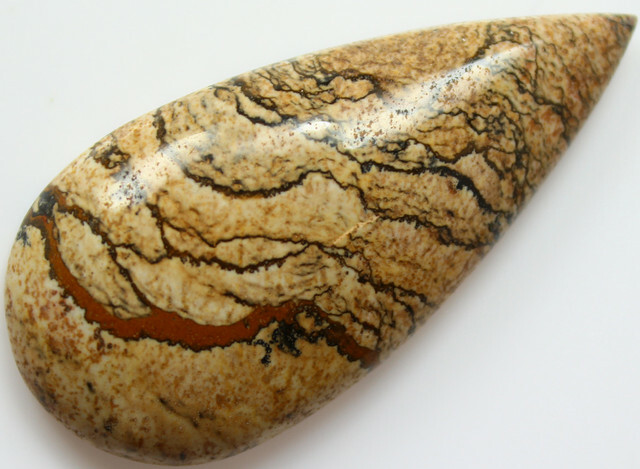 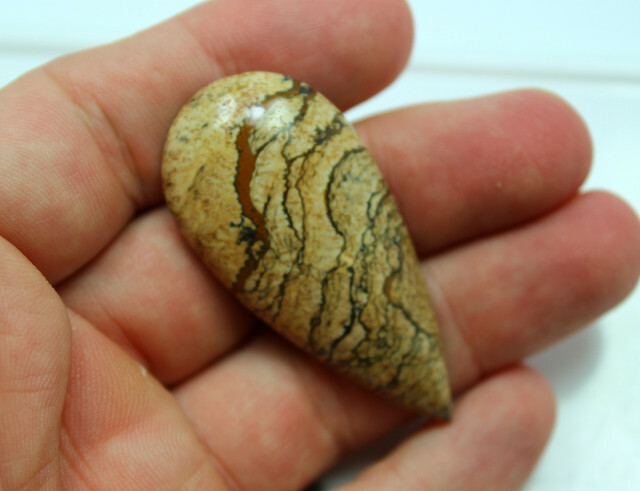 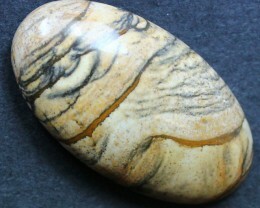 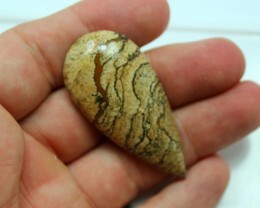 The Greek origin of the word jasper, iaspis, means "spotted stone." 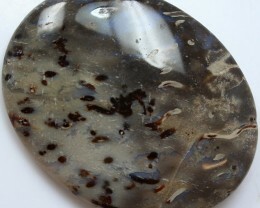 It is a member of the chalcedony family, or a microcrystalline quartz, and it has a hardness of about 7 on the Moh's scale. 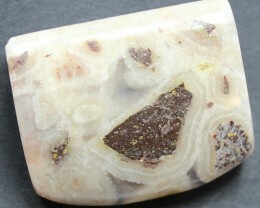 Its patterns are much less regular and defined than those of the other chalcedony variety, agate. 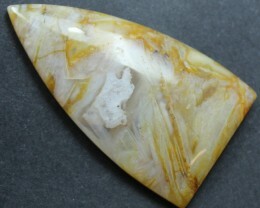 Another difference between the two is that jaspers are generally opaque, while agates tend to be translucent (or at least contain translucent bands).